Fana'a: Ranjha Revisited is a collaboration between Navtej Singh Johar and Sufi singer and composer Madan Gopal Singh. A dance-theater piece, it seamlessly fuses two archetypical narratives from North and South India: the predominant Sufi love legend from the Punjab, Heer Ranjha interspersed with Kutrala Kuravanji, a genre of dance-drama from Tamil Nadu in which a gypsy foretells the heroine, Vasantvalli, of her destined union with lord Siva. Operatic in nature, Fana'a freely intermixes and juxtaposes the two texts without a fixed flow of narrative, fixed characters or characterizations. Hence, Ranjha becomes Siva, becomes Vasantvalli, becomes Heer, becomes the gypsy, the sakhi, the mendicant, and so on; each identity willingly immersing itself in the other, surrendering its skin to discover another. Drawing on plural dance vocabularies - Bharatanatyam, Chhau, yoga, modern dance and physical theater, the choreographic treatment remains very contemporary. The work - physical, sensual, spiritual - centers on Ranjha: a harbinger of continuity, who is continuously changing through his response to the land, the sound and the sensuous core of life. Fascinated by his own impermanence, Ranjha thus becomes the bard of a million masquerades, crossing cultural, spiritual, and existential spaces with ease, acquiring both impermanence and omnipresence. Navtej Johar is a Bharatanatyam exponent and a choreographer, whose work is unique in that it freely traverses between the traditional and the avant-garde. Trained in Bharatanatyam at Rukmini Arundale's, Kalakshetra, at Chennai, and with Leela Samson at the Shriram Bharatiya Kala Kendra, New Delhi, he later studied at the Department of Performance Studies, New York University. Johar has performed at prestigious venues all over the world and has done extensive work with several prominent international companies and choreographers in the USA and India. Johar is recognized as a cutting edge choreographer whose work is sensitive, compelling, witty and layered. His work includes solo and ensemble works. Apart from classical Bharatanatyam it includes contemporary performance pieces, street-theatre, performance-installations, site-specific events, spectacles and musicals. A recipient of the Times of India Fellowship, 1995, and the Charles Wallace Fellowship, 1999, Johar was the performance director of the Commonwealth Parade, for the Queen's Golden Jubilee Celebrations, at London, in June 2002. 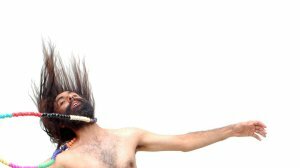 Johar divides his time between the U.S. and India and is available for performances, workshops, lectures, and choreography assignments. Madan Gopal Singh is India's leading Sufi lyricist, composer, singer and scholar. A treasure-house of Sufi poetry, he is best known for his rendition of Punjabi Sufi texts and love legends and has translated a wide range of Sufi lyrics into Punjabi, Hindustani and English. He has toured extensively and has had the distinction of singing with the well-known Kurdish singer Shahram Nazeri; and has performed with Theo Bleckmann, percussionist David Cossin and double-bass player Gregg August amongst others. He teaches English literature, writes extensively on cinema and lectures on issues pertaining to cultural theory. G. Elangovan (Carnatic Vocalist and Composer): Hailing from a family of distinguished musicians, G. Elangovan is a versatile singer and a nattuvanar (traditional dance percussionist). Trained under his late father Guru K.J. Govindarajan, Shri Shankarayanarayan and Shri T. K. Govindarao, Elangovan has accompanied leading Bharatanatyam dancers and has traveled extensively. Firmly grounded in tradition and widely traveled, he open to experiment and collaborate with other musical and performance forms. The Abhyas Dance Ensemble: Navtej Johar set up The Abhyas Dance Ensemble in 2000. The Abhyas Ensemble is devoted to making interdisciplinary work involving dancers and musicians from varied backgrounds. It also invites experts from other creative fields: artists, designers, actors, writers and videographers in the making of collaborative performance works. The focus remains on making the performance work seamlessly as it draws upon plural vocabularies, making ethno-centric references and virtuosic asides of stylistic quotations specific to the form, and interweaving ostensibly disparate forms into a cohesive whole. Apart from performance work the Ensemble is also devoted to community outreach programmes. It also makes custom-designed performance work upon invitation.